4-CORNER SURVIVAL: Adam Pearce w/Shane Hagadorn defeated Colt Cabana and Matt Sydal and Chris Hero w/Larry Sweeney.. DARK MATCH: Erick Stevens (from FIP in Florida) defeated Alex "Sugarfoot" Payne (ROH Student) in 25 seconds.. MATCH: Masaaki Mochizuki (Dragon Gate) defeated Davey Richards.. IN THE RING: Bruno Sammartino + Chris Hero & Larry Sweeney & Tank Toland + Nigel McGuinness..
Bruno Sammartino cut a great promo praising ROH but was interrupted by Chris Hero, Larry Sweeney & Tank Toland..
Bruno Sammartino declined Larry Sweeney's challenge to an Arm-wrestling contest against his man Chris Hero..
Larry Sweeney then challenged Bruno Sammartino to see if he could escape Chris Hero's dreaded cravat move..
Nigel McGuinness ran out and attacked the three heels with Sammartino personally taking out Larry Sweeney! MIXED TAG MATCH: Jimmy Jacobs & the Lovely Lacey defeated B.J. Whitmer & Daizee Haze..
After the match: Lacey said Jimmy Jacobs finally won her over and gave him a hug to reward him for a job well done..
Lacey said that she had a lot more for Jimmy Jacobs IF he can take B.J. Whitmer out tomorrow night in a Steel Cage! TAG TITLE MATCH: The Briscoe Brothers defeated Shingo Takagi & Naruki Doi to capture the ROH Tag Team titles! The match was stopped after Mark Briscoe botched a shooting star press on the floor and was seriously injured..
Jay Briscoe continued the match by himself and actually recaptured the ROH World Tag Team titles by himself! IN THE RING: Jay Briscoe & The Motor City Machine Guns (Alex Shelley & Chris Sabin)..
Alex Shelley & Chris Sabin challenged Jay Briscoe (and his brother Mark) to defend their titles in Chicago IL on 4/28..
Jay Briscoe accepted the challenge and was then attacked by the Motor City Machine Guns (Alex Shelley & Chris Sabin)..
Alex Shelley said Jay Briscoe doesn't even have a partner because his idiot brother risked his life for the retards.. MATCH: "The Shooter" Brent Albright w/Larry Sweeney defeated Nigel McGuinness..
Larry Sweeney came out and said he had paid for the services of Brent Albright to take out Nigel McGuinness..
ROH ICONS MATCH: "Notorious 187" Homicide defeated "The Fallen Angel" Christopher Daniels..
Adam Pearce & Shane Hagadorn attacked Homicide after the match and they were joined by the legendary Jim Cornette..
Jim Cornette sprayed Homicide with mace and proclaimed that nobody gets the last word on him and slapped Homicide.. Homicide fought back but Brent Albright hit the ring to take out Homicide and lock him in the armbar submission..
Colt Cabana & Delirious finally hit the ring and chased Cornette, Albright, Pearce & Hagadorn away from the ring..
GRUDGE MATCH: Roderick Strong (No Remorse Corps) defeated Jack Evans by Submission.. Team Dragon Gate = CIMA & Dragon Kid & Ryo Saito & Susumu Yokosuka.. Team Ring of Honor = Austin Aries & Delirious & Claudio Castagnoli & Rocky Romero..
For the majority of the wrestling world, it was WrestleMania weekend in Detroit, MI - but for a small legion of intensely loyal pro-wrestling fans, it was Ring of Honor weekend in Detroit with the traditionally incredible All-Star Extravaganza and Super Card of Honor events. Having come off its triumphant Fifth Year Festival celebration, one wouldn't blame ROH for putting on the breaks and starting to rebuild their product. However, the ROH crew slammed on the gas and found a previously undiscovered gear, leaving flaming tire marks all over the city. Gabe Sapolsky pulled out all the stops, booking eight stars from Japan's Dragon Gate promotion. Each year, the Dragon Gate contingent steals the show with mind-blowing performances with each other and with some of ROH's elite players. Oh yeah, did I mention, Bruno Sammartino was there too. Four-Corner Survival - Colt Cabana vs. Chris Hero vs. Adam Pearce vs. Matt Sydal: This unique mix of talent and ability faced off in a very important four-way match that started out with Chris Hero inadvertently winning over the crowd with his dynamic feats of strength and fitness. Colt Cabana quickly stole the spotlight by doing his slightly less athletic version of Hero's routine. There seemed to be a lot of typical comedy spots going on, while the serious-minded Adam Pearce sort-of laid back and watched in disgust until he found his opening and took full advantage of it to pick up a huge victory over three of ROH's top workers ( 7 / 10 ). Erick Stevens vs. "Sugarfoot" Alex Payne: I give Erick Stevens a lot of credit for working his way up the ranks of the Florida independent circuit transforming himself from a glorified jobber into one of the most adored fan-favorites in ROH's sister-promotion Full Impact Pro. His ascent up the ladder of success and popularity landed him a shot at greatness in big brother's Ring of Honor. Erick Stevens literally squashed poor "Sugarfoot" Alex Payne in about 25 seconds and left just as fast as he arrived ( 3 / 10 ). Rest assured, Erick Stevens will be back again - and he will be put to the test against wrestlers of a higher quality. Davey Richards vs. Masaaki Mochizuki (Moe-Cha-Zuki): This is my first time seeing Dragon Gate's Masaaki Mochizuki in action, and he was given the opportunity to teach No Remorse Corps enforcer Davey Richards a lesson in respect. Mochizuki reminds me of a softer version of Yoshihiro Tajiri. Announcers Dave Prazak and Jared David reminded viewers that the No Remorse Corps would add a third member to the group at tommorow night's event. After a ferocious exchange of stiff kicks to the head and body, it was Masaaki Mochizuki who had his hand raised in victory ( 6.5 / 10 ). Dave Prazak entered the ring and introduced a "true hall of famer and a legend in professional wrestling," - Bruno Sammartino! It's always so amazing and special when Mr. Sammartino graces ROH with his presence. Everyone knows how he feels about today's wrestling product so it is indeed an genuine honor that Sammartino would offer his supreme endorsement to Ring of Honor. Bruno talked about his recent back and hip surgeries and not entering the ring the same way he used to (jumping over the top rope). The fans started a "One More Match!" chant. Bruno talked about being impressed by ROH and said it was great that there was another promotion coming up because it's not healthy to have only one organization. Bruno praised ROH and said it could only get bigger and bigger and added that it gives him great pleasure to see this kind of wrestling becoming successful again. 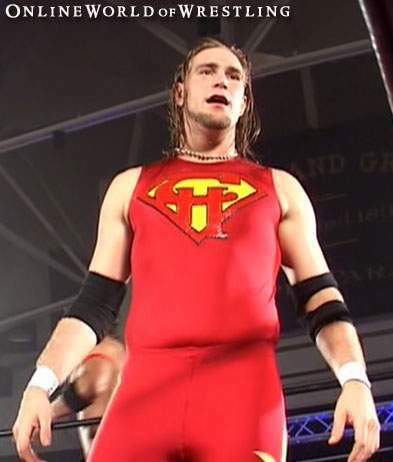 Suddenly, without warning, "Sweet & Sour" Larry Sweeney came out with Chris Hero and Tank Toland. Sweeney listed some of Sammartino's accomplishments but said the only reason Bruno Sammartino is a "living legend" today is because Chris Hero was born fifty years too late. The crowd rightfully chanted "Shut the F*ck Up!" - as if Bruno would support that chant. Sweeney challenged Bruno to an arm-wrestling match on behalf of Chris Hero. The fans chanted "F*ck'em up, Bruno, F*ck'em up!" Seriously, would Bruno approve of that language? Sometimes fans can be so stupid and thoughtless. Sweet & Sour Inc. threatened to do harm to Sammartino until Nigel McGuinness showed up and kicked Sweet & Sour Inc. out of the ring. Nigel apologized to Mr. Sammartino for "those wankers" and said here in Ring of Honor they show respect to the Legends. Nigel then led a massive standing ovation and started a loud chant of "Bruno! Bruno! Bruno!" followed by "Thank you, Bruno!" 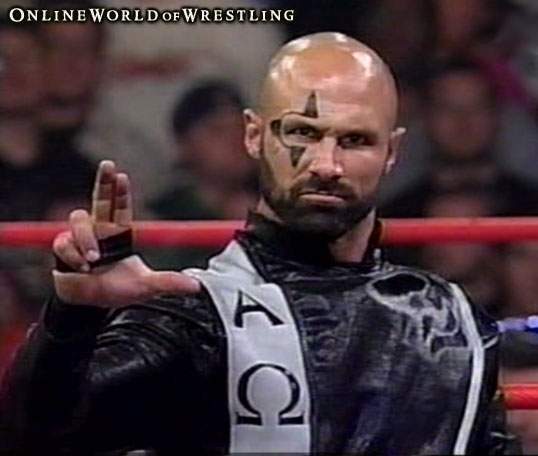 Christopher Daniels cut a promo using his TNA heel gimmick and talked about his match with Homicide tonight, which is being billed as a "Battle of the Icons" match. One can't help but wonder how much longer before The Fallen Angel is pulled from ROH. It seems like this feud has been going on forever, but it still has a mountain of intrigue and possibility. Jacobs and Whitmer will face off in a steel cage the following night, so I suspect this match will focus more on the girls. There's something very alluring about a hot girl in jeans with kneepads on the outside. Okay I read what I just wrote and I realize how bad that sounds - ha ha. They showed Whitmer/Jacobs brawling in a small box in the corner but it was too dark to see anything. Meanwhile they only showed a wide angle lens shot of the ring where the girls were fighting so you couldn't really see that up-close either. Terrible production for a match that was probably better than it appeared on my television set. Whitmer and Jacobs ended up back in the ring and it looked like they were going to recreate the ultra-insane power-bomb off the top rope into the fifth row spot - but Lacey came to save Jimmy Jacobs. Then they recreated one of the most crowd-pleasing spots in the history of pro-wrestling when Jimmy Jacobs literally speared Daizee Haze out of her shoes (which went flying into the crowd). Lacey finished The Haze off with an unnecessary Implant DDT to win the match ( 7.5 / 10 ). After the match, Lacey said Jimmy Jacobs made her proud tonight and it's time she gave him his reward - a hug. Lacey said if Jimmy takes Whitmer out in the steel cage tomorrow, there will be a whole lot more to come. ROH World Tag Team Title Match - Shingo & Naruki Doi vs. The Briscoe Brothers: The Japanese combination of Shingo and Naruki Doi shocked the ROH community at Fifth Year Festival: Liverpool by dethroning the Briscoe brothers of the ROH World Tag Team titles during the Briscoe's first title defense. The Briscoes immediately evoked their rematch clause and began their quest to recapture the championships they live and breathe for. Midway through the match, Mark Briscoe lost his mind and climbed the ropes and did a shooting star press in one swift motion and landed violently on his head (disturbing). The referee went out to check on Mark while Jay continued the fight in the ring, but looked noticeably concerned for his baby brother. Gabe Sapolsky came out with some EMT's and the match was temporarily halted. Jay Briscoe hit the ring and continued the battle. Jimmy Bower (Gabe Sapolsky's gimmick name) joined commentary and said Mark had told his brother to keep fighting and win back the tag titles. It sounds like a storyline but Mark's injury was very real and equally disturbing. Jay Briscoe took a beating from Shingo and Doi, but applied a supernatural determination to overcome the odds and recapture the ROH World Tag Team titles ( 8 / 10 ). As Jay Briscoe was checking on his little brother, the Motor City Machine Guns (Chris Sabin & Alex Shelley) hit the ring and said they were there out of complete and total respect. The Motor City Machine Guns challenged the Briscoes to a match on April 28th in Chicago, Illinois for the tag team titles. The crowd chanted "Man Up!" and Jay Briscoe accepted the challenge - hopefully Mark will recover in time. Chris Sabin and Alex Shelley attacked Jay Briscoe and said Jay doesn't have a partner because his idiot brother risked his life to make these retards (the fans) happy. Nice. Sabin and Shelley said if Mark can't wrestle than Jay has to defend the belts by himself. They concluded by saying they had to leave so they could catch their flight to Orlando (TNA's home base). Yamato Onodera vs. Pelle Primeau: This was also my first opportunity to see Dragon Gate's Yamato Onodera (who they referred to simply as "Yamato") in action. His opponent was the ultimate underdog Pelle Primeau, who managed to get a small amount of offense in before Yamato finished him off with a bridging suplex ( 3 / 10 ). Quick match. Nigel McGuinness vs. Brent Albright w/Larry Sweeney: "Sweet & Sour" Larry Sweeney came out complaining about what Nigel McGuinness did to him earlier, saying that he has paid the "Hired Gun" Brent Albright to punish Nigel McGuinness for sticking his nose in Sweet & Sour business. McGuinness was firmly in control until Chris Hero showed up and caused a distraction. Brent Albright planted Nigel with a belly-to-back overhead suplex for the win - come on I've seen Nigel survive 20-times that kind of abuse ( 7 / 10 ). Looks like they're building a Hero vs. McGuinness feud, which sounds like it could be interesting. Battle of the Icons - Homicide vs. Christopher Daniels: Fans, enjoy the "ROH Icons" while you still can, because Joe is officially gone, and you can be sure that Homicide, Christopher Daniels, and Colt Cabana will soon follow. The Fallen Angel was greeted with much praise from the crowd but tried his best to maintain his heel persona from TNA. The Fallen Angel shunned the fans approval, which changed their minds and the crowd began to favor Homicide. After a long brilliant back-and-forth match, Homicide got the win and sent a very disgusted Christopher Daniels backstage with another disappointing loss ( 8 / 10 ). After the match, Adam Pearce and Shane Hagadorn attacked Homicide and they were joined by the legendary Jim Cornette. I thought this feud was over long ago! Jim Cornette sprayed Homicide with mace and proclaimed that nobody gets the last word on him and started slapping Homicide across the face and whipping him with a leather belt. Homicide fought back but the "Gun for Hire" Brent Albright returned to take him out and put him in a painful arm-bar submission! Colt Cabana and Delirious finally hit the ring and chased Cornette, Albright, Pearce, and Hagadorn away from the ring. Wow, all of that happened so fast! Grudge Match - Roderick Strong vs. Jack Evans: After Roderick Strong, the leader of the No Remorse Corps, admitted on camera that he was the mystery-man who attacked Jack Evans backstage several months ago, the subsequent grudge match was bound to happen some day. Well this day was the day, and Jack Evans threw friendship out the window and vowed to "kill" his former Generation Next stable-mate for this ultimate betrayal. Roderick Strong named his group the "No Remorse Corps" because they don't care about the injuries that they inflict on their opponents. Jack Evans was the unfortunate victim of that philosophy, as he was punched, kicked, tossed, stretched, and broken in half for about 20-minutes before tapping out to a bone-crunching Stronghold submission ( 9 / 10 ). CIMA & Sasumu Yokosuka & Dragon Kid & Ryo Saito vs. Austin Aries & Delirious & Rocky Romero & Claudio Castagnoli: Put on your seat-belts folks, it is time for Dragon Gate vs. Ring of Honor in an eight man tag team match fought under Dragon Gate Rules. To enjoy this match, you will need the following; your favorite beverage, a straw, 45-minutes of uninterrupted time, and a remote control with functioning rewind button. Send the wife to the store for milk and bread too. Dragon Gate even brought their own ring announcer. When CIMA was introduced, he crawled like a dog over to Delirious (who was in his usual crouching position) and lifted his leg - hilarious. The Ring of Honor squad seemed like it was randomly thrown together with no rhyme or reason - they aren't friends, but they aren't enemies either. Claudio Castagnoli seemed to stick out like a sore thumb as the clumsy heavyweight trying to keep up with the lighter, faster, flashier partners and opponents. About twenty minutes into the match, the pace began to accelerate and the crowd came alive with a "This is Awesome!" chant of appreciation. About 10-minutes later they turned the volume up to the max with a brief flurry of offense and everyone's hearts began to collectively race until CIMA pinned Delirious after a Crossfire-bomb ( 8.5 / 10 ). The finish was a bit pre-mature but still a great performance. They could have gone all-out for another five or ten minutes and really put an exclamation mark on the match. All eight men congratulated each other after the match as the fans showered them with appreciation. Delirious seemed to be upset with CIMA but they worked it out and shook hands. Jimmy Jacobs cut a promo from the darkness of the basement and said his favorite movies have always been romantic comedies because no matter what happened the problems were always resolved. Jimmy talked about his former partnership with B.J. Whitmer than ended about a year-and-a-half ago. Jimmy talked about how the violent feud with Whitmer has changed him from a happy and innocent guy into what he is today. Jimmy said it won't be over between he and B.J. until one of them is gone for good. That was one of the best promos I've heard all year - my little description does not do it justice. Final Thoughts: What can I say, Ring of Honor has done it again. I guess I've just grown into a major ROH mark because I find it tragically difficult to find anything worth trashing. Sure I find little minor details here and there that rub me the wrong way but the over-all picture is always the same - ROH provides the best all-around product in pro-wrestling today. Jump on the bandwagon!